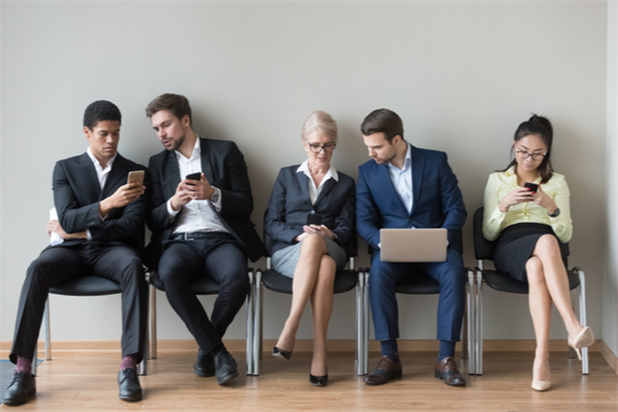 The current employment market favors job seekers rather than recruiters, which makes maintaining appropriate communication during the hiring process essential. To succeed nowadays, hiring managers must be focused on providing a positive candidate experience. By knowing how to respond to job applicants and communicating with candidates in a timely fashion, you can make sure you don’t leave prospects in the applicant black hole and avoid developing a negative reputation as an employer. The infographic below includes a handy process map that outlines the four critical points throughout the hiring process where a recruiter or hiring manager must contact candidates to update them on their application status. You should be reaching out to prospects at each stage regardless of whether they’ve made it to the next step or are no longer under consideration. If this isn’t part of your recruiting strategy, it needs to be.